Free Essential Oils Class Nov 21! For the month of December we are offering FREE classes in the office and online via Facebook. 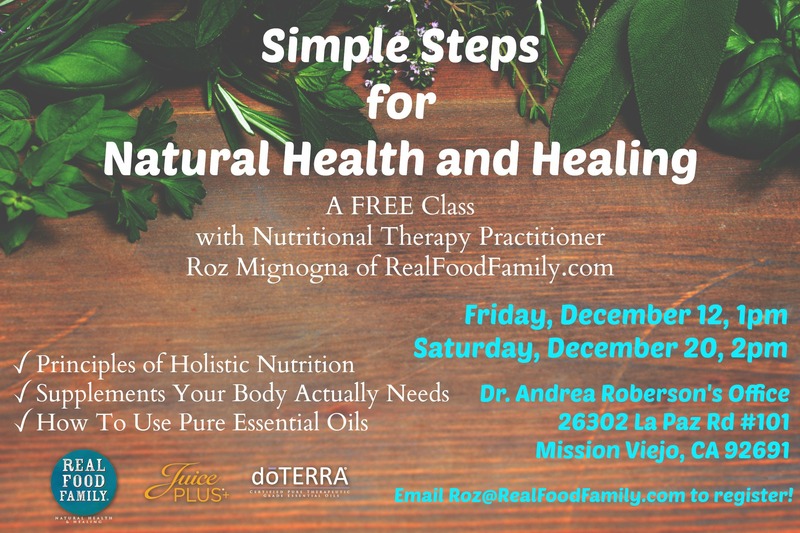 If you would like to register for our in-office classes, please email Roz@RealFoodFamily.com. If you would like to attend the online classes, please join the Real Food Family Special Events Facebook Page for an invitation. Please email Roz@RealFoodFamily.com if you have any questions!